Graham offers his readers a short, but perceptive, and often humorous work on the modern purging of all things Confederate. One chapter chronicles a few of the famous, and many not-so-famous scuffles “Confederaphobes” have had with Southern symbols. For instance, “A student at Framingham State University (FSU), located 20 miles outside of Boston, was ‘traumatized’ when a Confederate flag sticker was seen on another student’s laptop computer.” As the story unfolds Graham tells us how the school administration castigated the symbol and offered counseling for those traumatized by such a display. If they were really monuments to “white supremacy” or some other nefarious cause, they would have said so during the unveiling ceremonies and inscribed them on the monuments themselves. Who would have stopped them, especially if the culture was as “racist” as these advocates of cultural genocide claim? The fact is that they did not wish to confuse anyone, they were perfectly forthright and clear so that they would be understood by future generations. Graham doesn’t stop here though. 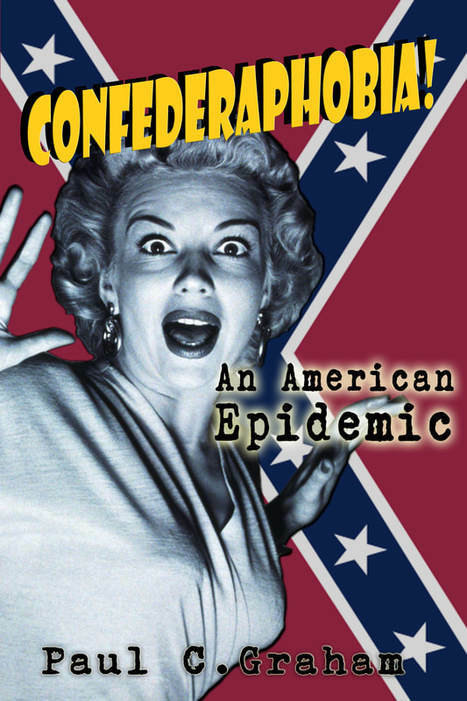 He thoroughly exposes, using modern-day psychological jargon (which makes the whole humorous) the ailment that is Confederaphobia, and the unfortunate toll it takes on its victims (namely themselves). Perhaps Graham’s greatest contribution is his encouragement to Southerners themselves (for whom he wrote the book). “The self-aware Southerner— at least until he or she is exposed to their history— often reacts with guilt and shame.” Graham further writes, “Because of their naturally good disposition, attention to manners, and desire to be left alone, self-identified Southerners are reluctant to make trouble, but the circumstances in which they find themselves are making this more and more difficult.” By the end of the book, the hang-your-head Southerner is encouraged to think about the issue much differently. The burden of proof is not for them to bear, but for the “Confederaphobes” as Graham calls them. I won’t spoil the book by telling you more, but I will encourage you to pick a copy up and read it yourself. It’s extremely short, and I trust will encourage the Southerner, conservative, and lover of Western Civilization alike.